Travel in Style. RV in Comfort. 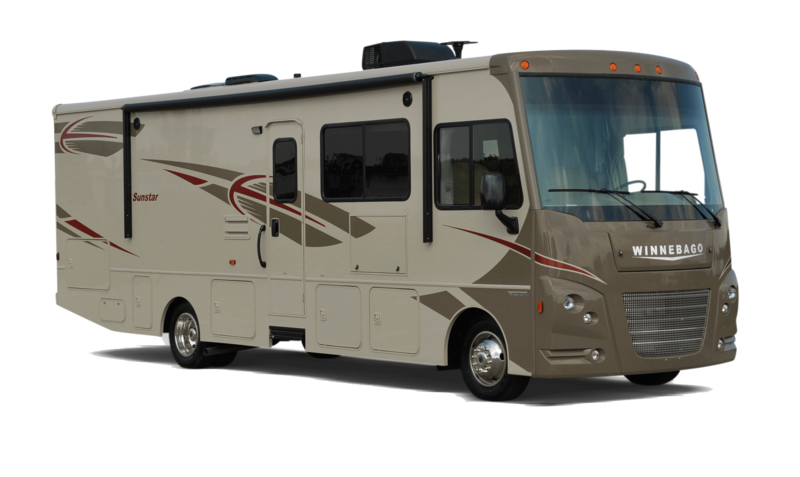 Sunstar from Itasca features seven luxurious floor plans to choose from and tons of Class A features that even the most experienced RVer will love. Amenities include BenchMark full comfort dinette, the “BIG” shower exclusive to Winnebago Industries, Comfort Sofa Sleeper, extendable sectional sofa, MCD black out roller shades and much, much more. Intuitive designs, cutting edge technology and stylish interiors make Sunstar a great motorhome to own.